These plastic bus tubs are ideal "gifts" for your outside service staff, and will immediately make them like you. Or at least stop them from talking behind your back. 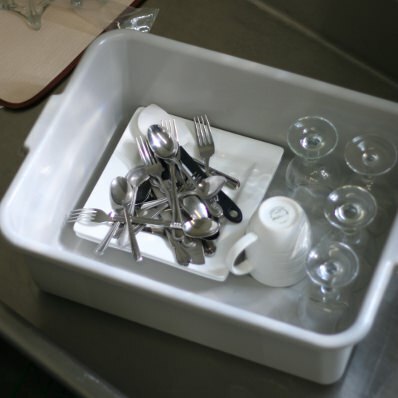 And no, you can't have our dirty dishes.